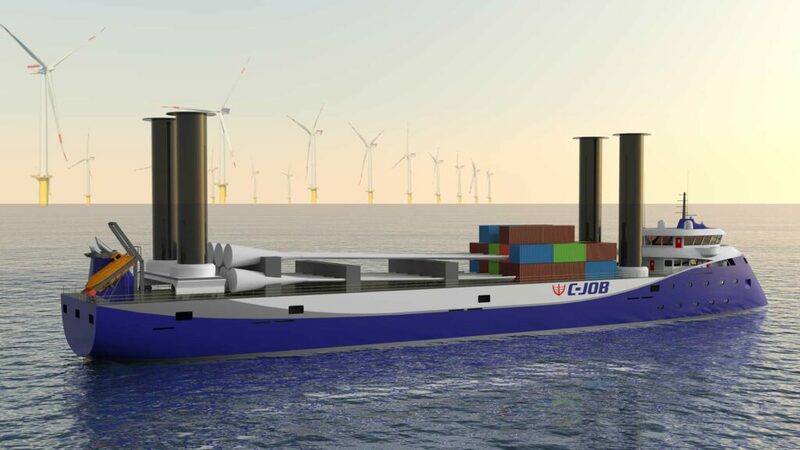 C-Job has been actively working on the subject of wind- assisted propulsion for a number of years now. Of the numerous techniques available, the company’s attention has focused primarily on the use of deck-mounted rotating vertical cylinders called Flettner Rotors (also known as Rotor Sails). C-Job’s research has found Flettner Rotors to be the most viable solution when compared to alternatives like kites and turbo wings. Flettner Rotors can be used to supplement a vessel’s main engines by using the Magnus effect and favourable winds to generate forward thrust. Previous Newsflash articles have highlighted the methods and the advantages. In addition to in-house research of its own, C-Job facilitates graduate research. One notable project that is nearing completion is being undertaken by Delft University of Technology Master’s Student Robin Berendschot. Using an existing vessel as the starting point for the design process, the goal of his Marine Technology and Ship Design Master’s thesis is to develop a method to optimise a vessel design with Flettner rotors for the lowest total cost of ownership. 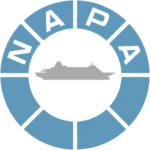 To optimise prevailing wind patterns, C-Job is using an API of NAPA Voyage Optimization, a weather routing software from NAPA, the leading maritime software, services and data analysis provider. This combines historical weather data and current weather predictions with a vessel specific ship performance model, to find the optimum route between two points. During the thesis, support for optimizing routes of vessels equipped with Flettner Rotors was co-developed. The trade-offs continue when analysing sailing routes. Long stretches of ocean sailing with consistent winds are more advantageous than the numerous port stops seen in shortsea shipping. Transatlantic routes, therefore, would be well suited to vessels with Flettner Rotors. “This means that we are the go-to partner for ship-owners looking for an independent and dependable advice when making informed investment decisions,” Thijs concludes. Blijf altijd op de hoogte via onze NewsFlash! Geef hieronder uw mailadres op en klik op 'Aanmelden'. Onze NewsFlash versturen we ongeveer 5 keer per jaar.